Promo Code Details: More Beer Black Friday Sale! Save Up To 50%! Coupon Code Description: This is hands down the best home brewing sale day of the year and More Beer has some incredible homebrew deals going on right now, plus you will get FREE SHIPPING on orders over $59! 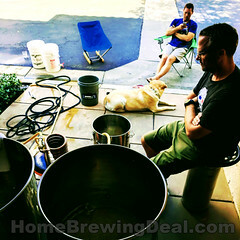 One of the highlights today is their home brewing deal on a GRAIN FATHER home brewing system! Today Only, SAVE $200 + FREE SHIPPING! 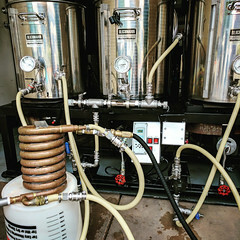 This is the Bluetooth Connected All Grain Brewing System Version as well with all of the bells and whistles. Plus save a bundle on other home brewing items like stainless steel conical fermenters, home brewing starter kits, wort chillers, mash paddles and more! Coupon Code Description: Today at More Beer, use promo code BEERDEAL and get a new homebrewing bottle capper for just $34! This is no low end capper either, this is a top of the line Ferrari Deluxe Bench Homebrew Bottle Capper. This deluxe bench top home brewing bottle capper comes standard adjustable spring loaded head and the head can be easily moved by pressing the black button on the side and sliding the capping mechanism up or down. If you are looking for a great home brewing bottle capper this is the homebrew deal for you. Sale Description: For a limited time save up to $50 off your order at Homebrewing.org / Adventures in Homebrewing. 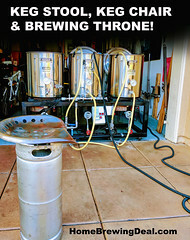 As it stands, Adventures in Homebrewing has some of the best prices around on home brewing beer kits, equipment and supplies. When you stack that with this sale, you can save a bundle, especially if you take advantage of their free shipping program and their sale items! 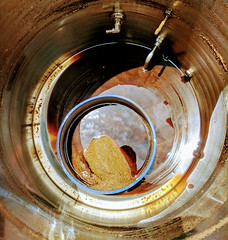 Click the link for all of the details on this Adventures in Homebrewing limited time offer.